Milbank 1-Pole 3-Wire line to load distribution bussed gutter in ANSI 61 gray powder coated galvanized finish, has G90 steel construction for added strength and durability. The 3-position gutter has a voltage rating of 600-Volts AC and current rating of 800-Amps. 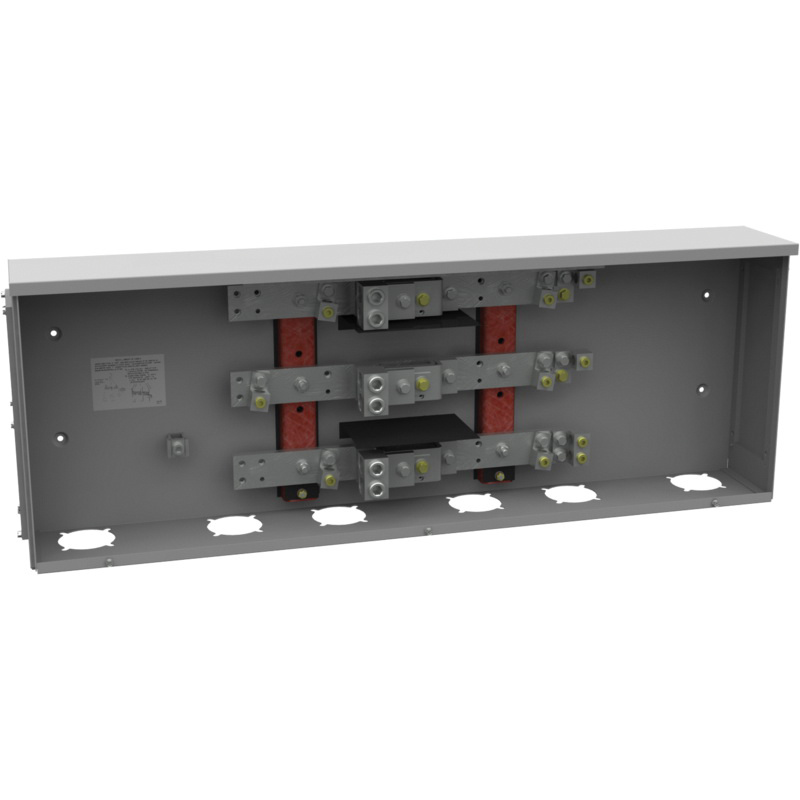 It accommodates (2) 600-MCM line and (3) 6-AWG-250-MCM load wires. This 1-Phase surface mountable gutter has NEMA 3R rated enclosure. It has a short circuit rating of 42000-Amps. This gutter with polypropylene insulation, has one copper and aluminum conductor. It measures 6.188-Inch x 42.938-Inch x 15.438-Inch. The bussed gutter is UL type 3R listed.